Never fear, feel lonely or sad. Know that some piece of you still exists in this universe and will linger on thru the ages. Your works will become outdated or outsourced. Your great-grandchildren will forget your name and your worldly possessions will wither like a Kardashian without 24/7 media coverage. I speak of your precious MySpace account. Naturally, I had forgotten about this horrendous webpage that I created at the tender age of 18 until a friend of mine tried to find me on the site and by "find me" I mean, "probably blackmail me" and by "friend" I mean, "probably an internet assassin". I had a difficult time locating my old internet stomping grounds because I searched my actual name (like a normal human) but, of course, back when I was 18 my real name wasn't cool enough...sigh...so instead I had to find my atrocious screen name (that was also, somehow, misspelled) (How you manage to misspell a fictional word is beyond me but my 18 year old self found a way GODDAMMIT!) The horrors of that social media account are far too numerous to list here so instead I invite you to see for yourself! 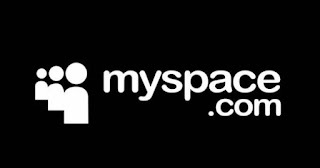 After many struggles to procure my old account my husband just assumed that MySpace removed my profile since I haven't even logged into it since Brittney Spears was still relevant. "I guess you just weren't producing enough content. ", he said. Is this not a simile for life, I ask you? What are we doing at age 80? Probably not working or having children just being, I guess? It is as if the universe says, "Hey man, nothing personal but I gotta take you out. You had a good run but you just aren't producing enough content anymore.". If this were the case then why do some people kick the bucket at the very height of their career or work output? Perhaps, they were just operating on an obsolete interface. Only the universe can truly know the answers to these questions. Someday I will query the big motherboard in the sky but for now it is nice to know that some piece of me has survived thru countless wars, human atrocities, that weird Jack Johnson phase and Caitlin Jenner. Christmas Card Chaos Is Finally Here!